Second Annual Board Game Night! 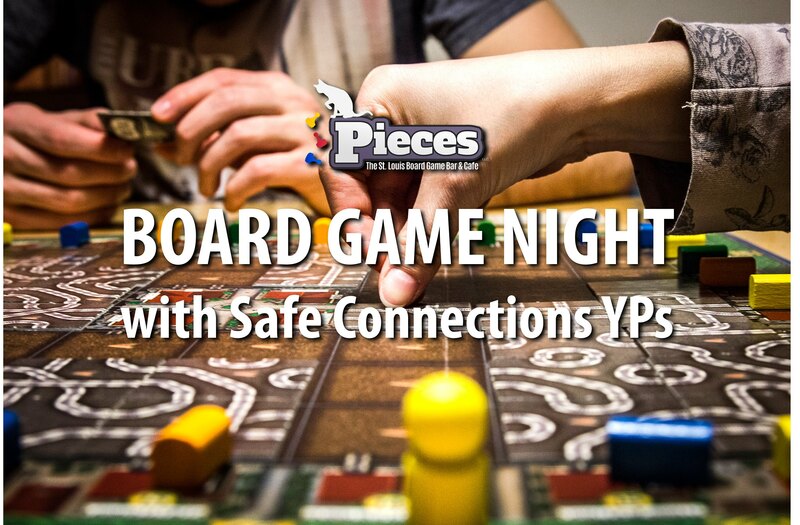 Join the Safe Connections Young Professionals for an old school game night to kick off 2019! With over 700 board games to choose from, you will definitely not be bored at our Game Night at Pieces Board Game Bar and Cafe. Come hang out anytime between 4 and 10 p.m. to learn more about our YP group, how you can specifically get involved, and meet some current YP members. A library fee of $5 will benefit Safe Connections and allow you to choose from the hundreds of game selections that Pieces has to offer. When: Tuesday, February 12, 4-10 p.m. Details: Board games, plus drinks and food available at menu price. Contact Dani at 314.646.7500 x123 with any questions.